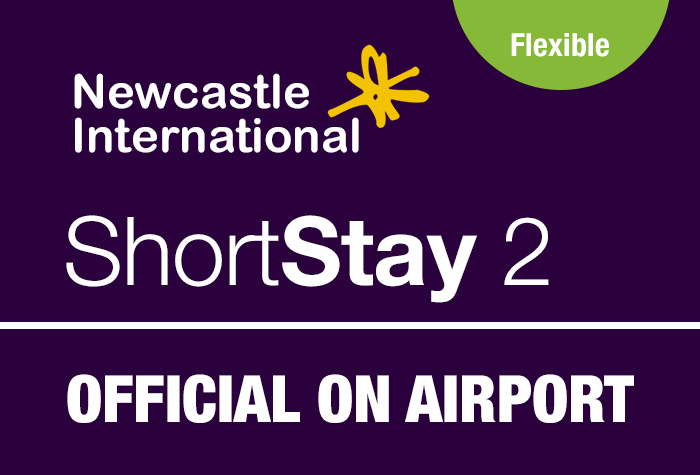 Only 300 yards from the terminal, the Medium Stay car park at Newcastle is perfect for travellers who want a short transfer to the airport. You can either take their free 2-minute transfers or, if you fancy a stroll, you can even walk the short distance to the terminal. You'll have the convenience of parking within the airport grounds at this car park - it's just 300 yards from the terminal and 2 minutes on the free shuttle bus. Park yourself and keep your car keys. The car park has 24-hour CCTV, 24-hour security patrols, entry and exit barriers, a fence and floodlighting. It holds the Park Mark, a national security award for car parks which is accredited by the police. Accessibility - There are extra-wide spaces for disabled customers in Zone N.
Please note from the 7th January 2019 Medium Stay Flexible will be changing its name to Short Stay 2 Flexible. You can walk to the terminal from the car park in just a few minutes. If you have lots of luggage, the car park also runs a free bus to the terminal for customers. All you need to do is hop on board. The journey takes just 2 minutes and the bus runs whenever it's needed. parked in medium stay,it is being upgraded but there was no signs to exit.in the end had try and find a way out.it took 10 mins to different exit machines that would not let us out,in the end found the offices when he lifted the barrier when showed paper work.you end up going to short stay exit. On return we found pedestrian access closed and had to walk round we could of booked the cheaper park if we had known this felt a bit ripped off to be honest. Very good experience - and cheaper than a taxi! Our customers rated Newcastle Medium Stay Airport Parking on average 9/10 (96 reviews). Read Newcastle Medium Stay Airport Parking reviews.